TRAVERSE CITY, Mich. -- The Chicago Blackhawks will begin play in the Traverse City rookie tournament on Friday. 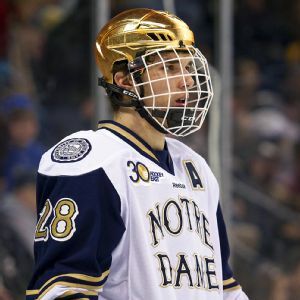 Here are five prospects to keep an eye on throughout the five-day tournament:Kyle Baun, forwardYoung hockey players' first impressions are important to Blackhawks coach Joel Quenneville. CHICAGO -- The Chicago Blackhawks prospect camp wrapped up this past week. Heres a review of how some of the players performed at the camp:• Tyler Motte (forward, 20 years old, 4th round in 2013) made his presence known this year after missing the 2014 camp because of school responsibilities. Here are 10 things to watch for at the Chicago Blackhawks upcoming prospect camp:1. Danos arrival: This will be the first opportunity to see forward Marko Dano on the ice for the Blackhawks. 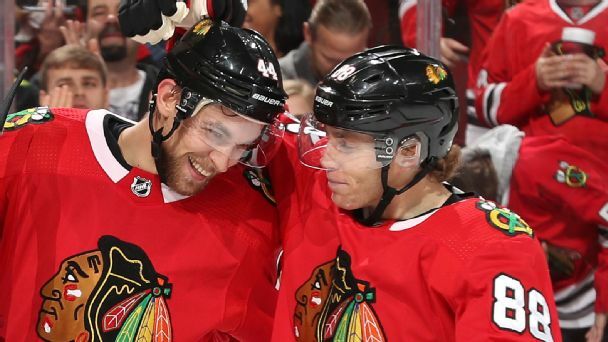 DENVER -- Heres what to watch for when the Chicago Blackhawks play the Colorado Avalanche at the Pepsi Center on Saturday:• The Blackhawks still don't know where they're playing in the first round. 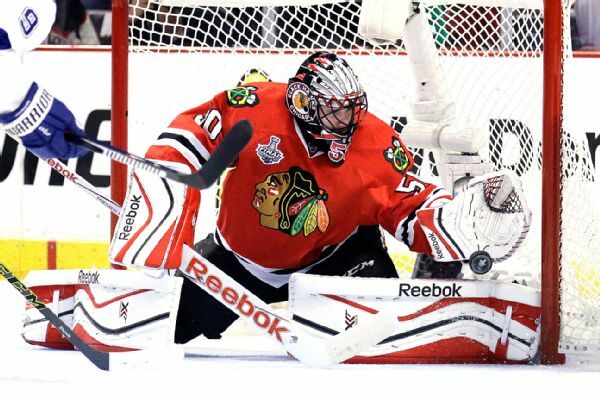 The Chicago Blackhawks look to settle the score with the St. Louis Blues after losing a key tilt earlier in the week.